Do You Have A Boatlift Project We Can Help With? We only use IMM Quality Boat Lifts because of their superior engineering and ability to withstand against the elements. Let us talk to you and help you find what is the best option for your needs. Have a problem with your current lift? Not working properly since the storm? Keep you and your family safe with a correctly functioning lift. We pride ourselves in our work and will recommend what is best for you. 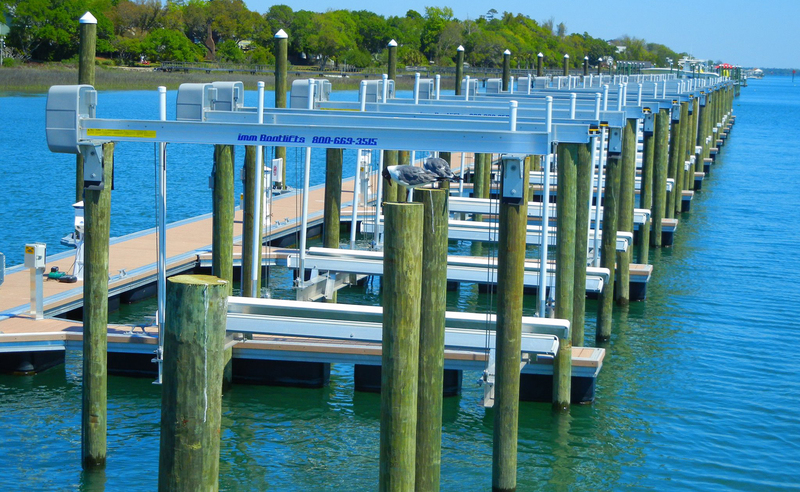 Marathon Seawalls and Docks Boatlift division is pleased to announce that we are now preforming lift maintenance, on all lifts shapes and sizes. By doing so we hope to achieve our goal of improving customer satisfaction from Ocean Reef to Key West and reduce the number of incorrectly installed and/or un-maintained lifts. Preventative maintenance is the key word for any piece of machinery or equipment that you wish to have a long-life expectancy. – We treat every lift like it is one of our own. Every moving part on your lift will be checked for proper alignment and movement. All the grease fittings will be attended to with the proper marine grease. The lift will be run all the way up and all the way so we know every inch of the cables that raise and lower the lift are in good condition. And finally, we even pressure wash the lift from the water line up to remove any unwanted, grass, growth, barnacles, and stains. Have a custom project you need done? We can help make your dreams a reality with custom dock and boatlift work. We build boat lifts to accommodate your individual needs. From catamarans, to deep keel sailboats, to sea planes, to large capacity yachts to platform lifts with integrated decking, we are always available to help you in your design, location, and installation requirements for the perfect boat lift for your dream boat. Our designs are developed in house by our full-time engineering team using the latest 3D modeling and structural analysis software. We design and manufacture complete custom cradle systems to fit the boat lift manufacturer’s recommended bunk placement. 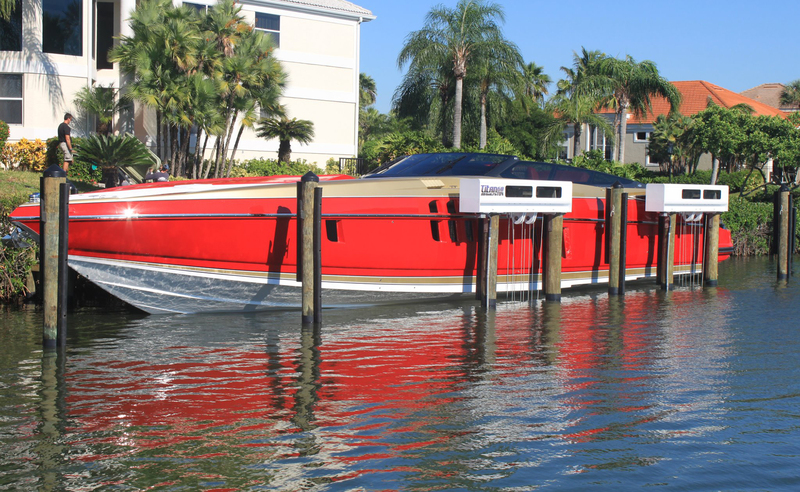 Our full custom boat lift services make sure that you get a perfectly sized and equipped boat lift system that meets your needs. Our portfolio of local work done speaks for itself. 100% of the boatlifts we have installed held up during hurricane Irma. No other local company can say that! We carry Imm Quality Boat Lift’s high performance boat lift accessories made from the finest materials and are durable and easy to use. 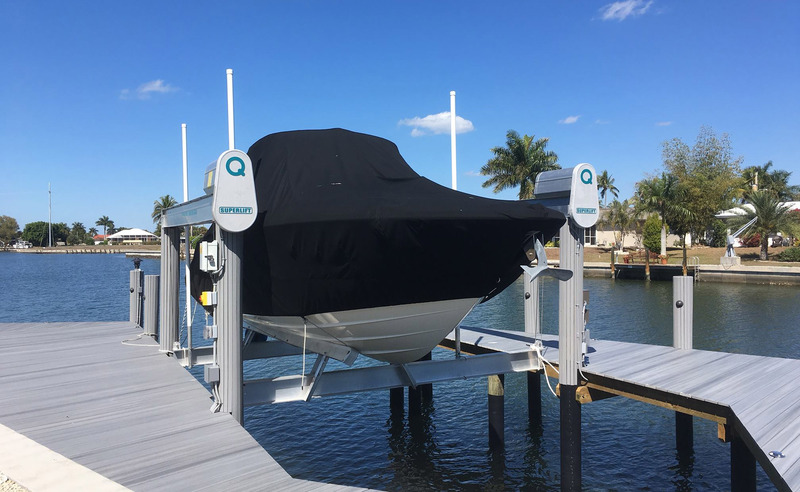 If you have any questions about our accessories, call us today and one of our experienced sales technicians will be happy to assist you find the boat lift accessories you need.